August 24, 1921 - November 28, 2018 Our beloved mother, Paula Elizabeth (Benage) Winkel, passed away on November 28, 2018, at the age of 97. 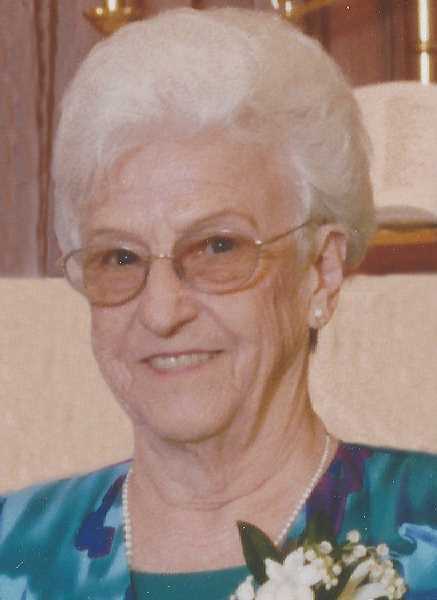 Our beloved mother, Paula Elizabeth (Benage) Winkel, passed away on November 28, 2018, at the age of 97. She and her twin brother, Paul, were born to Nettie and Ivan Benage on August 24, 1921 in Bristow, Iowa, joining siblings George, Avis, and Leah. Her father passed away of cancer at the age of 37, and her mother brought all five children to Oregon by train. Nettie later married Roy Paddock and they welcomed another brother, Patric, into their family. Paula was the last remaining sibling from this family. Paula graduated from Oregon City High School in 1939. She married Harold Winkel in 1942. They owned and operated the Penny Cash Market at the foot of the Oregon City elevator, then bought the Buckles Grocery Store and later Ritter's Grocery Store in the Willamette area of West Linn. They worked side by side in the grocery stores and served their community well as they extended credit for groceries for mill workers and families in need, assisted with the Cub and Boy Scouts, and were active in public service and affairs. Viewing will be at Holman-Hankins-Bowker and Waud located at 715 7th Street in Oregon City on Monday, December 3rd from 1-4 PM. Services will be held at Zion Lutheran Church, 710 Jefferson Street, Oregon City, on Tuesday, December 4th at 10 AM with reception following at the church. Private interment will be at Mt. View Cemetery. Memorial contributions may be made to the Blue Heron Foundation at Willamette View, 12705 SE River Rd., Portland, OR 97222 or Zion Lutheran Church. Arrangements by Holman-Hankins-Bowker & Waud.